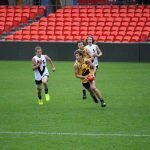 THE first intake of the AFL’s newest initiative – Next Generation Academies – are six months away from potentially realising their AFL dream. Eleven players are listed from five AFL clubs with each of the participants exposed to their designated clubs’ coaching, facilities and expertise across health, fitness and personal development. 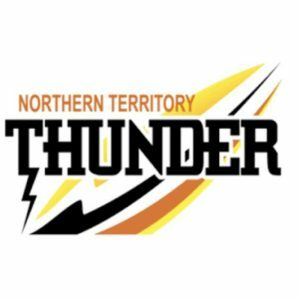 The talent academies are for the 14 clubs outside New South Wales and Queensland, with each club designated a region in their state, with some clubs also designated a region in Northern Territory, or in North Melbourne’s case, Tasmania. 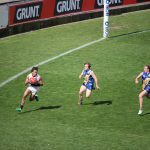 The AFL Club Next Generation Academies are a joint initiative between the AFL and AFL clubs aimed at increasing the opportunities for young people to learn about and play the game of Australian Rules football. 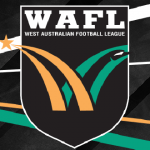 The program is targeted at Multicultural and Indigenous communities who may not have had as much opportunity to be involved in football programs, or have limited understanding of the game and how it is played. 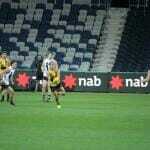 Among those currently in AFL Next Generation Academies are Northern Knights’ Ethan Penrith, an exciting, pacy player who become an important cog in the Knights’ side, as well as Gippsland’s Changkuoth Jiath (CJ), who is zoned to Hawthorn. 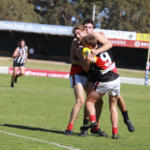 The pair will be subject to the same bidding process as father-son and northern academy players if a rival club places a bid on him during the NAB AFL Draft held later this year in Sydney. Of the 11 players eligible to be drafted in 2017, nine of them come from three clubs, with Hawthorn (four), Richmond (three) and Carlton (two), while Essendon and Geelong both have one player each. Richmond, Hawthorn and Carlton all seem to have been early winners out of the initiative with an additional 25 players between them listed over the coming years.